The mesangium regulates single-nephron glomerular filtration rate (SNGFR) by altering the glomerular ultrafiltration coefficient (Kf). This schematic diagram demonstrates the anatomic relationship between glomerular capillary loops and the mesangium. The mesangium is surrounded by capillary loops. 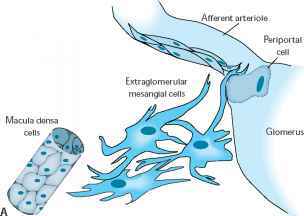 Mesangial cells (M) are specialized pericytes with contractile elements that can respond to vasoactive hormones. Contraction of mesangium can close and prevent perfusion of anatomically associated glomerular capillary loops. 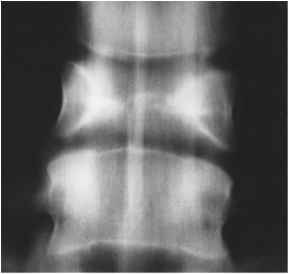 This decreases the surface area available for glomerular filtration and reduces the glomerular ultrafiltration coefficient.